In 2017, Roberta Little and Stella Scott of the former Mala Galleria, began Thank You Project. They focused on the community of Kennett Square to encourage feeling, expressing and living in gratitude. 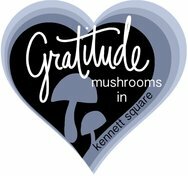 While Thank You Project’s slogan is Gratitude Mushrooms in Kennett Square, it’s mission is to document gratitude spreading here and eventually everywhere. 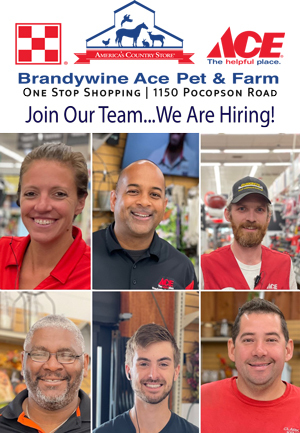 Since it’s conception, many local businesses, service groups, clubs and individuals have participated with posts now seen on Thank You Project’s social media pages. With the assistance of Kennett Middle School teacher, Ms.Tamara Fellows, students have contributed over two hundred creative photos and mini movies. Ms. Fellows is now engaged in the 2018 project along with teachers at Greenwood Elementary School. In addition, Thank You Project is currently partnering with Mary Pat’s Provisions at The Market At Liberty Place, 148 West State St., in Kennett Square, PA, through the end of November. The World’s Littlest Art Gallery, created and designed by Roberta, is the focal point of a wacky whimsical community project. This mini mobile community gallery is presenting its first interactive gratitude based art exhibit. The “artist” is YOU! You write, rhyme and/or draw your expression of gratitude then clip it to the growing display. Thank You Project will open a second location at the Kennett Library, 215 State St., on November 13, through Saturday November 17. This will also be an interactive art show featuring YOU as the artist. All visitors are encouraged to design and hang their contribution in and around The World’s Littlest Art Gallery II.